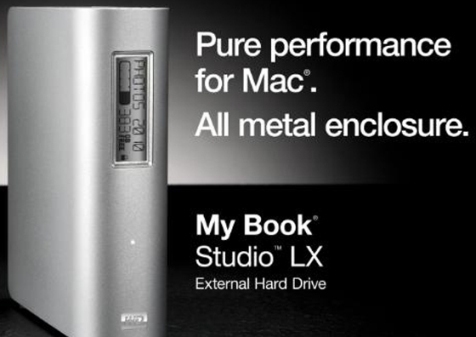 The world’s leading provider of portable HDD products, Western Digital has launched its new plug-and-play WD My Book Studio LX external hard drive for Mac, which combines dual FireWire 800/ USB 2.0 interface and customizable always-on e-label in a sleek, premium all-aluminum enclosure, compatible with Apple Time Machine. In addition, the My Book Studio LX for Mac also includes renowned WD SmartWare software that offers continuous backup, 256-bit hardware-based encryption and more useful functionality. WD’s My Book Studio LX external hard drive that features WD GreenPower Technology is offered in 2 variants of memory capacity – 1TB My Book Studio LX and 2TB My Book Studio LX, are now available at shopwd.com and other retailers for a MSRP of $199.99 and $269.99, respectively.